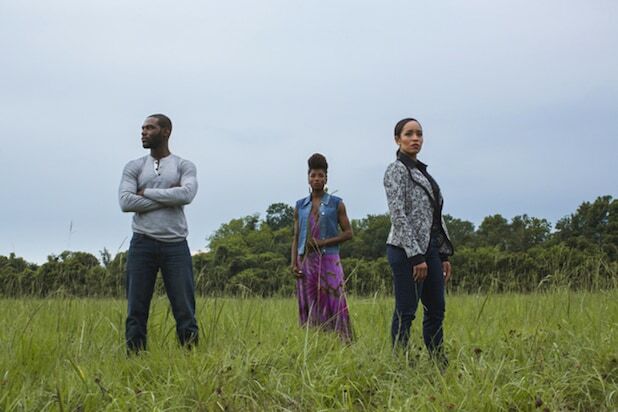 "Queen Sugar"Ava DuVernay's "Queen Sugar" airing on the Oprah Winfrey Network follows three estranged siblings (Rutina Wesley, Dawn Lyn-Gardner and Kofi Siriboe) who come together to take care of their late father's sugarcane farm. "Queen Sugar" airs on OWN and you can watch on demand directly through the network's app. "The Expanse"This sci-fi series takes place hundreds of years in the future where humans have settled and colonized the solar system. A detective (Thomas Jane) is tasked with finding a missing woman (Florence Faivre), which turns out to be a huge conspiracy. 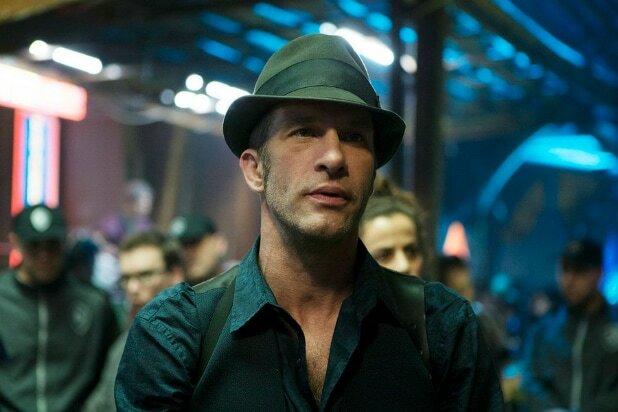 "The Expanse" airs on SyFy and you can stream season 1 on Amazon Prime. 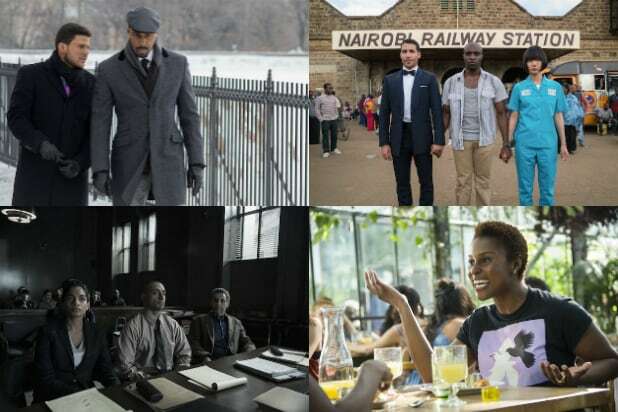 "Sense 8"Talk about diversity -- this Netflix thriller follows an ethnically diverse group of eight people from around the world who find themselves suddenly mentally connected as they try to elude a mysterious organization that is set out to destroy them. "Sense 8" is on Netflix. "How to Get Away With Murder"Shonda Rhymes' ABC drama is about a brilliant and charismatic lawyer (Viola Davis) who teaches a criminal defense class called "How to Get Away With Murder" where she ends up taking five students (Karla Souza, Aja Naomi King, Alfred Enoch, Jake Falahee and Matt McGorry) under her wing, but what transpires is a slew of murder mysteries and dark truths. "How to Get Away With Murder" airs on ABC, and you can watch past seasons on Netflix or Hulu. "Black-ish"Kenya Barris' "Black-ish" is centered around an upper middle class black family trying to raise their kids in a wealthy and predominately-white neighborhood while attempting to not lose sight of their "blackness." "Black-ish" airs on ABC and can be streamed through the network's website or app, or by purchasing episodes from digital retailers. "Being Mary Jane"This BET hour-long drama series follows Mary Jane Paul (Gabrielle Union), a black successful news anchor, as she tries to move up the career ladder, while balancing her family's mini-crisis as well as her own personal life. Paul's best friend, confidant and executive producer is a Latina woman. "Being Mary Jane" airs BET and you can stream past seasons on Netflix. "Night Of"This eight-part HBO series follows a complex murder case in New York City with a Pakistani-American college student (Riz Ahmed) at the center of the mystery. Though the story of Naz is complete, showrunner Steve Zaillian is open to a second season that continues exploring the themes of the first. "The Night Of" aired on HBO and you can stream it on HBO Go. "Grey's Anatomy"This long-running medical drama focuses on a group of doctor's and their lives, relationships and tragedies. "Grey's Anatomy" airs on ABC, and you can stream it on Netflix and Hulu. "Orange Is the New Black"This original Netflix series is about a PR executive (Taylor Schilling) who did some shady stuff in her past that finally caught up with her. She ends up being thrown in a minimum-security prison where she finally figures out life. "Orange is the New Black" is available on Netflix. "Power"Airing on STARZ, "Power" follows a successful and powerful nightclub owner (Omari Hardwick) who has it all -- the perfect home, a gorgeous wife (Naturi Naughton) and seemingly never-ending money. Oh, he also runs a drug empire on the side with his best friend (Joseph Sikora) and has very close run-in's with his former lover who also happens to be a federal agent (Lela Loren). "Power" airs on STARZ, and you can stream it through the StarzPlay app or website. "New Girl"Although the central character is a white girl, she has plenty of diverse friends. Zooey Deschanel plays a quirky school teacher who moves into a loft with three men (Jake Johnson, Max Greenfield and Lamorne Morris). Her best friend (Hannah Simone) also pops up quite frequently. "New Girl" airs on Fox and is available on Netflix and Hulu. "Empire"Lucious Lyon is a hip-hop mogul and CEO of Empire Entertainment ... he's also dying. Due to his predicament, he must entrust his company to one of his three sons but the reappearance of his ex-wife Cookie makes things a little bit more difficult. "Empire" airs on Fox but you can stream on Hulu or on the network's website or app. "Quantico"Set over two different timelines where one follows a group of FBI recruits as they go through training and the second timeline shows New York City under a terrorist attack, "Quantico" features a diverse group of characters who all hold a secret. "Quantico" airs on ABC or you can stream it on Netflix. "Brooklyn Nine-Nine"This Fox sitcom follows a group of detectives all with comically clashing personalities and are headed by a new commanding officer -- the always wonderful Andre Braugher. "Brooklyn Nine-Nine" airs on Fox and is available on Hulu or the network's website or app. "Luke Cage"Netflix's original Marvel series tells the story of superhero (Mike Colter), a former convict with superhuman strength and unbreakable skin who now fights crime. "Luke Cage" is available on Netflix. "Black Mirror"Netflix's chilling thriller doesn't have a set main cast because each episode works as a standalone drama with a theme that takes a satirical look at modern society and technology. The show has included diverse actors such as Gugu Mbatha-Raw, Malachi Kirby, Hannah John-Kamen and "Get Out" star Daniel Kaluuya. "Black Mirror" is on Netflix. "American Crime"ABC's crime drama works as an anthology so each season focuses on a new topic. The first season dealt with race, class and gender politics, the second season is about sexual assault at a private school and the third season follows five people attempting to live out the American Dream. "American Crime" airs on ABC and is available to stream on Netflix or the network's website or app. "Marco Polo"This Netflix original follows a young Marco Polo (Lorenzo Richelmy) who set out on a journey to the court of Kublai Khan (Benedict Wong). The show may carry a white guy's name, but he's also the only white person in the main cast -- and by season 2 he's not even the main character. "Marco Polo" streams on Netflix. "3%"This Netflix original Brazilian dystopian thriller set in a future where the world is divided between poverty and progress and affluence. People are given the chance to go to the "better side" but only 3 percent succeed. "3%" is on Netflix.